Granddad was always the heart and soul of any party – his irrepressible sense of fun and humor rubbed off on each of his three grandchildren. But every party ends some time and when Granddad died, we decided to commemorate his life by creating three sparkling diamond rings from his ashes for his grandchildren to wear. That way they can always be reminded of him and his wonderful advice: life is short, make the most of every moment. Create your never-ending love story. All over the world people have fallen in love with the idea of wearing diamonds with real meaning. Heart In Diamond creates stunningly beautiful diamonds from a lock of hair, or cremation ashes. When it comes to losing a loved one, we turn ashes to diamonds – our memorial diamonds have provided people around the world a sparkling reminder of those they love and have lost. Death. It’s never easy. Whether you’ve suffered the loss of a spouse, parent, child, friend, family member, or pet – it’s hard. It doesn’t matter if you knew their time was drawing close or if it happened unexpectedly – it’s difficult to accept and work through the emotions that ensue. In the darkest hours of grief following death, for many, comfort is found by treasuring the memories of a loved one. By transforming cremated ashes into diamonds – all those memories and moments you shared with that person literally become a physical treasure. Worldwide, people are sending in the cremains of family members to modern laboratories that transform the ashes into diamonds – that last a lifetime. In capturing personal memories, milestones or moments, you get the joy of wearing a diamond that you choose, shape, wear or give, set in a ring, earrings or, pendant. With so many stories to tell, you really should begin telling yours today. Cremation and the cremation process determine that the physical body is no longer with us. We accept the ashes as the remaining visual reminder of that life. So as the embers of a loved ones life turn to ashes we are also reminded how transient life is and desperately want to hold onto that visual memory. 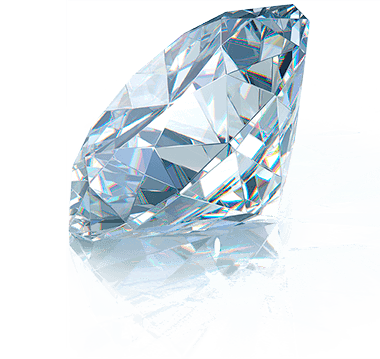 By turning ashes into diamonds we can transform our perception of them into the natural beauty that a diamond captures. Like the rebirth of their soul into a beautiful lasting symbolic creation. All over the world people are discovering the joy of capturing the moments, lives and legacies of their loved ones, in the heart of our perfect diamonds. This experience is highly emotional, personal and almost supernatural. Visit our testimonials page to read what many people have said to us about their experiences with Heart In Diamond. that gives the general public the idea that diamonds are rare and valuable. We believe that what gives an item value is the history and what that item means to us personally. attachment to us. Heart In Diamond has changed the diamond industry and has made diamonds really worth something valuable. I would like to thank Anita for going out of her way to deliver my ring before my wedding. My mother passed in November last year and I wanted something beautiful to signify her. Pet’s ashes to diamonds? Discover our full guide. We recognise that when people come to us for our diamonds, they are mostly in a highly emotionally charged state: after all, many have suffered bereavements; others are planning to marry, or are thinking about leaving something special for their loved ones to treasure. By clicking on ‘FOLLOW YOUR HEART’ you’ll find information that talks to your heart. Here we feature all your choices, how you come to get your diamond and we help you come to the decisions that impact the look, feel and design of your diamond. By clicking on FOLLOW YOUR HEAD, you’ll be shown the practical steps to take to secure a diamond that will delight your heart and those whom you love. How does heart in diamond create beautiful diamonds? In order to create something as truly beautiful and heartfelt as your personal diamond, we employ only the best and most reliable processes and practices which always culminate in perfection. That said, we add a healthy dose of passion and commitment to creating each and every personal diamond that we create. Select your setting from our Online Jewellery Collection or contact us and we will help create your very own design with our Bespoke Design Service. Send us your loved one’s or pet’s hair, or cremation ashes. Our specialists extract the carbon and add it to the base we use to create your diamond. Think of it as the heart of your diamond. Whether celebrating a milestone, a cherished memory or bereavement, our kind and sensitive personal consultants will guide you through the process. They’ll stay in regular contact with you. First, you’ll choose your memorial diamond with the help of one of our experienced consultants. Our laboratory-made diamonds – unlike natural diamonds – do not cause any harm to our Earth’s environment or to those involved in the mining process. And laboratory diamonds are guaranteed 100% human and enviro-friendly because they’re made by experienced professionals. If possible, our consultants will come to visit you in person. We understand your home is private and also that you’d like to put a face to our people, so we offer as much visibility as we can. You also have the option for face-to-face discussions via Skype or Facetime. Cremation diamonds. New memorial options. Other cuts are available upon request. For more details on available options see Create your own diamond made from ashes or hair. It’s one thing to have a memorial diamond and quite another to make it really shine. The stone itself may look stronger in color, more defined and glittering, depending on what setting you choose. We have a rich choice of finished jewelry styles on offer, including rings, earrings and pendants. If you are unable to find your perfect setting in our jewelry collection, please contact us and we can assist you with our Bespoke Design Service. Our aim is to create your special diamond to best fit your most cherished memories. Your friends and family will absolutely love your precious stone. PLEASE NOTE: Setting prices do not include your diamond. All diamonds are priced separately. VISIT OUR ONLINE JEWELRY COLLECTION & BESPOKE DESIGN SERVICE FOR YOUR DIAMOND MADE FROM ASHES! Now that you’ve chosen your diamond and setting, it’s time to provide your sample. Our laboratory specialists need &frac23; cup (or about 3.5 oz.) of ashes or ½ cup (or about 0.07 oz.) of hair. It is possible to combine hair with ashes. Remember, if at any time you are unclear as to the process, your caring consultant is always there to answer your questions about how we turn your hair or ashes into diamond. In step 4 of the process, you simply relax while our specialists create your memorial diamond from ashes or hair. Our consultants stay in regular contact with you so you’ll know exactly how your diamond is doing. You can also visit this special tracking link to get online updates of your diamond’s progress. Depending on the color you choose, expect a wait of 70 – 120 days. In the memorial diamond industry, this is the guaranteed fastest production time available. 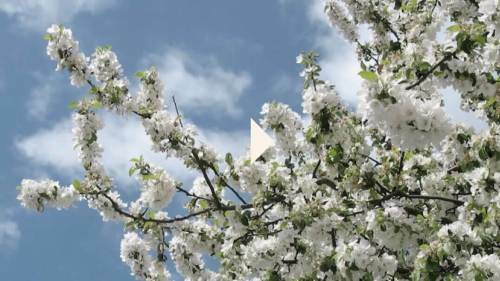 We’re able to reduce production time dramatically because of our processes and experience. When we receive your signed Purchase Order Form, you will be issued with a Heart In Diamond ID number, which you can use to track the status of your order through an Order Tracking page. Your unique ID number gets assigned to your case container. It is used to track the progress of your diamond as it grows, guaranteeing it stays safe and secure during the entire creation process. 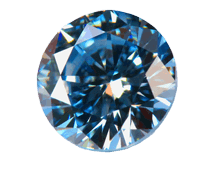 It means that when your diamond is delivered you will have peace of mind knowing YOUR diamond created from ashes or hair is in fact from YOUR sample. When our specialists receive your sample (hair or ashes), after the sample analysis is completed, the carbon in your sample is added to the diamond growing foundation, out of which a unique crystalline matrix will grow, creating a personal diamond. The mixture is placed in the core of the HPHT (High Pressure High Temperature) machine. This unique and complex machinery will recreate diamond-growing conditions, similar to those deep in the Earth’s crust where typical HPHT conditions are in excess of 2000℃ and 60,000 atmospheres, that will be applied to grow your personal diamond from ashes. When your diamond finishes growing, our specialists polish and cut it to meet the same industry grading standards that govern natural diamonds. Your diamond is 100% real and receives a grade according to the 4 Cs: color, clarity, cut, and carat. You get a diamond which sparkles without and within. After the diamond is cut and polished, it goes through our strict quality control and grading processes. Once this is done, we issue an Authenticity Certificate containing all the details about your personal diamond. As you can see, your Heart In Diamond goes through many stages of development before it becomes a personal diamond. It requires between 70 to 120 days (depending on the Purchase Option), from the moment we receive the hair or ash samples at our laboratory in order to create and deliver your personal diamond to your doorstep. Either our consultants will deliver you your treasured diamond or you’ll receive it from an authorized courier. During the shipping process, your diamond created from ashes (or hair) is fully insured, so you don’t have to worry about damage or loss. Your beautiful diamond means you get to carry the most special feeling with you all the time. Friends and family will no-doubt love your memorial diamond. You’ll have a tangible reminder to help you cherish every moment. Please contact your Sales Representative for more details. Heart In Diamond is proud to be the only certified manufacturer to create genuine cremation diamonds at its own laboratory. It means, our customers order guaranteed quality for competitive prices. 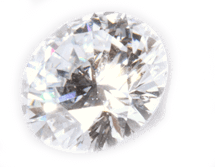 Moreover, we are happy to make diamonds even more affordable with our 0%-interest payment plans. OUR PAYMENT PLANS ARE APPLICABLE FOR ALL HEART IN DIAMOND COLORS AND SIZES. PLEASE CALL OR EMAIL US TO GET YOUR PERSONAL PAYMENT PLAN. If you would like to order more than one diamond, please contact us to get your individual full package discount. * Please note, that these prices do not include jewelry settings. Our Information pack includes Heart In Diamond brochure, FAQ Guide, Order Form, Ordering Instructions and a special Ziploc bag for the sample material. To request your Information Pack now, please fill out the form and click Submit. Ready to order or have a question for our specialist? Heart In Diamond is based in Leicestershire, United Kingdom. Our US office is located near Athens in Georgia, about an hour away from Atlanta. 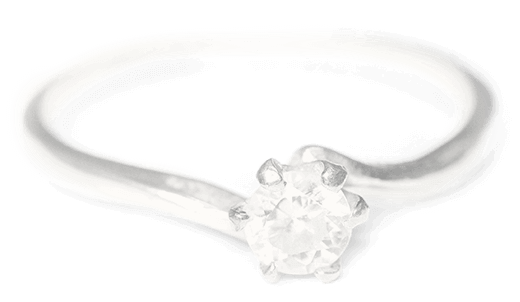 We create diamond wedding rings from the couple’s hair, cremation diamonds and diamonds from pet’s ashes or hair. We’ve been in business of creating memorial diamonds for 10 years. Even though they’re grown in a laboratory, our diamonds are 100% identical to naturally mined diamonds. You enjoy a warm and personal process in which our experienced consultants guide you through each step. When possible, we’re happy to show you our diamonds in person, and even deliver them ourselves to your door.